Here at Infinity Eye Care, we are proud to offer foreign body removal for our patients. When you get something in your eye, it is very important to get it out as soon as possible. Foreign objects can damage your eye by causing scratches, ulcers, and other problems. It is also important not to try to remove them yourself, which can cause even more damage! If you ever have something in your eye, we will happily remove it for you. We also use this time to ensure that you didn’t suffer any damage from the foreign body. 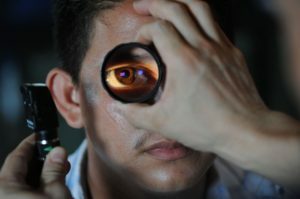 If you have any questions about the removal of foreign bodies or need to be seen because you have something stuck in your eye, don’t hesitate to contact us now at (717) 892-5008.